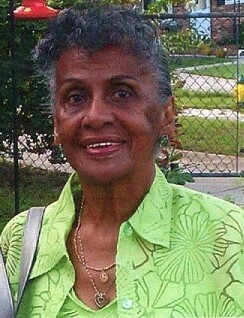 Ms. Nellie R. Bowens, age 84, of 1024 Augusta Drive, Fayetteville, NC departed this life on Friday, November 2, 2018. Funeral services will be held on Saturday, November 10th at 2:00 PM in the Wiseman Mortuary Chapel. Burial: Cumberland Memorial Gardens. She leaves to cherish her loving memories: sons, Andre Bowens and Patrick Bowens (Michelle); daughter, Jacqueline Bowens; brothers, Daniel L. Gilmore, Jr. and Lawrence R. Gilmore; ten grandchildren; four great grandchildren and a host of other relatives and friends. There will be a viewing Saturday, November 10th from 11:00 AM to 2:00 PM.